France started consolation of Chad in 1891. In 1920 it received a separate colonial status. The years of colonization of Chad saw an economic decline – the large areas were not governed effectively, people were often left alone. France didn't govern effectively mostly the whole territory of Chad. The process of decolonization began during World War II, when France was defeated by Germany. After the end of the war the local parties started to develop in Chad. On September 28, 1958 a referendum on territorial autonomy was held in French Equatorial Africa. People favored independence, thus Gabon, Congo and the Central African Republic proclaimed it in 1960. Chad became one of the autonomous members of the French Community on November 28, 1958. The country gained its full independence from France on August 11, 1960. 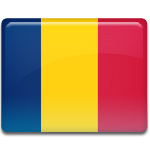 Republic Day is celebrated in Chad in a traditional way. Christians and Muslims unite to celebrate the anniversary of proclamation of Chad as a free republic. Usually people enjoy football matches, that are played on this day.